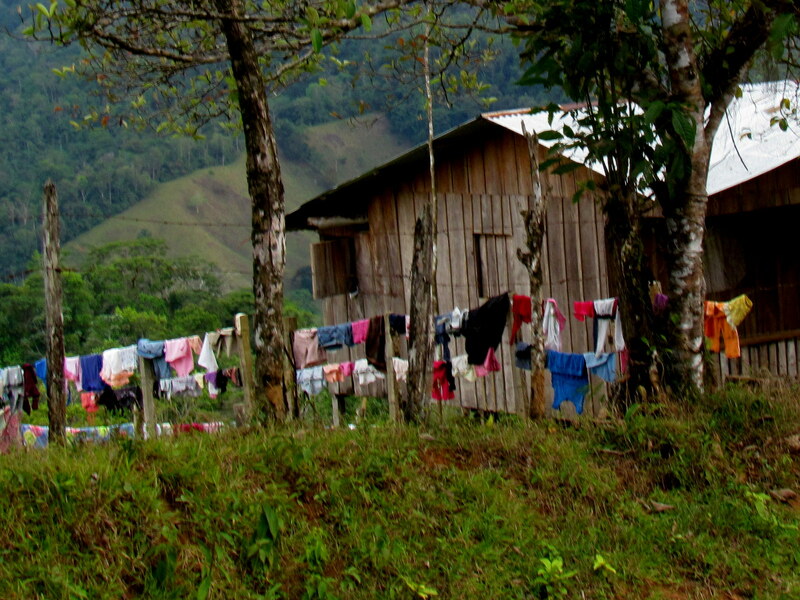 Even on a short trip to Costa Rica you may find yourself in need of clean clothes half way through your travels. Two sweaty t-shirts, a salt crusted rash guard, mangrove swamped board shorts, mud caked hiking pants, six smelly socks and some unmentionable unmentionables – that’s just from one days’ activities. Adventure travelers could easily go through two or three changes of clothes before dinner, and while you may not be vain or fashion conscious the other people in the restaurant will appreciate it if you at least rinse the stink out. There are suggestions on the packing list recommending materials (quick dry, dirt deflecting etc.) and types of clothing that may make laundry day easier. Unless you’re in a really remote area your best bet may be to have someone do laundry for you. Your hotel has to have some way of getting clean dry sheets and towels and will often use their equipment to provide laundry service during down times. The water used is nearly always cool (hot is almost unheard of) and line drying is common. Pricing is typically by the load ($15-$25 per load wash and dry) or the piece ($0.25-$4 per item) and you should expect 24 hour turnaround but might get lucky with same day service some places. There are essentially no self service laundromats in Costa Rica, but laundry services are fairly common. Pricing is typically by the kg ($0.40-$1.20) and works out to about $8-$12 per load for washing and drying. Do it yourselfers can benefit from these tips for laundry in a sink or concrete wash basin (two flat sinks side by side, usually outside near the clothes line). Please never pollute streams or rivers. If you’ve never hand washed before it’s simple. Just wet, soap and squeeze and squish until clean. If you have a flat clean surface you can use a kneading motion pushing a small pile of clothes down and away from you then rolling them back towards yourself. Rinsing well takes about 3 times as long as washing and can be accomplished by using the same motion as washing while continuously adding fresh water. Wash a few items at a time. Lugging 30 lbs of wet clothes around for a couple of days until it decides to stop raining or you find a dryer is no fun at all. If you only have a few wet things you can strap them to the outside of your pack to dry. A great way to get a clean outfit is to just step into the shower fully clothed. Wash and rinse as usual then strip and repeat to get yourself clean too. Wring hard to dry, and if you have a spare dry or semi-dry towel from your hotel you can remove more than twice as much water by rolling a single layer of clothes in it and wringing again. Stepping on one end of the towel and twisting the other with both hands will give you the most leverage. Please make sure the floor is clean and don’t ruin the towel by grinding it into dirt or gravel. Line drying can be pretty quick if you’ve brought the proper fabric and the sun is out. If you’ve splurged for A/C use it. The air coming out is not only cool, but dry relative to the surroundings and things hung in the air stream can dry almost as fast as in a clothes dryer. Always at least rinse the river or ocean water out of things that get wet. If you don’t the bacteria will have a field day when you pack them away. Dry completely before packing if you possibly can. If not try leaving the wet stuff on the outside of the pack or spread around in the car. If you pack wet things you have about 4-8 hours to unpack them before they start growing stuff that will never come out.